One of our pioneer alumni, Mohamed Abubakar, was hosted in Pittsburgh, Pennsylvania where he met his friend and neighbor, Timothy Hoffelder. Seven years later, Hoffelder visited Kenya where he reconnected with Abubakar and met his family. 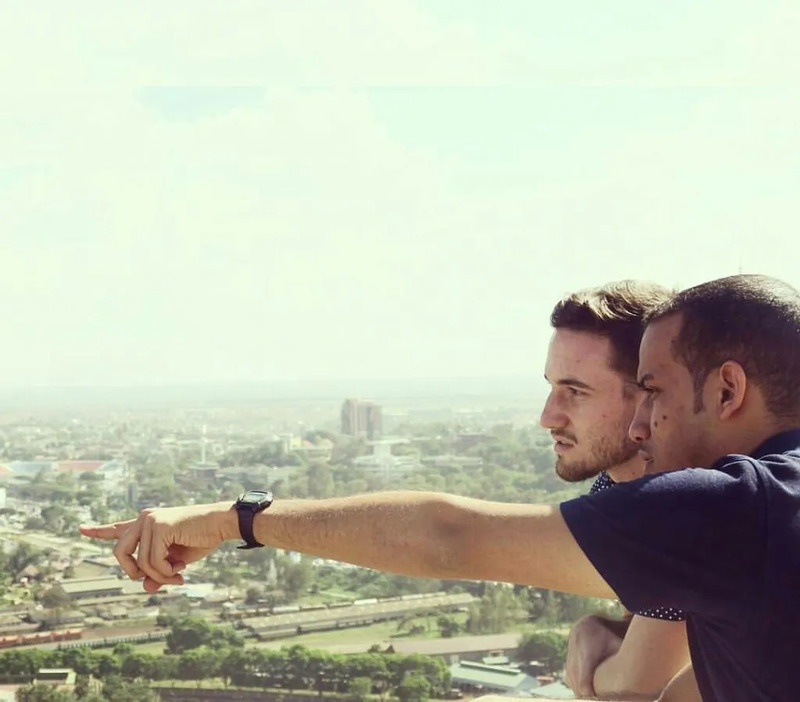 This is the story of Tim and Mohamed, which shows the impact of AFS and essence of intercultural exchange in creating a more peaceful world. AFS Intercultural Programs has a philosophy they call ‘learning to live together.’ To that end, its President and CEO has written that they “embrace differences and believe our world is stronger and more interesting because of them.” For me, the power of studying abroad goes beyond even that. Not only is the world more interesting because of a mutual understanding of our differences, but it is also safer. In my opinion, studying abroad is one of the few guaranteed ways to build world peace. I will tell you why. To enter into a community as an outsider brings with it great risks. You are lucky if you share the same language, faith, or skin color as your host community. On the other hand, I think the world is luckier if you do not. My best friend and I are evidence to this unconventional argument. Let me tell you about my friend, Mohamed Abubakar. Before Mohamed was my friend, he was first an exchange student from Kenya through the Kennedy-Lugar Youth Exchange and Study (YES) program. At least, that is how he was introduced to me in early 2009. At that time, if someone had asked me what I knew about Kenyans I would likely have said something about marathon runners or Maasai warriors. You see, that is the power that Mohamed had when he arrived in the United States. Perhaps without knowing, he signed up to be an ambassador and educator to everyone he met in my hometown in Western Pennsylvania. Mohamed and I are quite different at the superficial level. He is African, brown, and Muslim. I am American, white, and Catholic. But on a deeper, human level, we quickly learned that there is more which unites us than divides us. For example, we are both sports fans, though of different sports. We both love to swim. We both love to laugh, and can find comedy in almost anything. We also share a passion for education. Even our different faiths unite us in the fact that we care deeply about the greater good; doing right by neighbors and strangers alike. 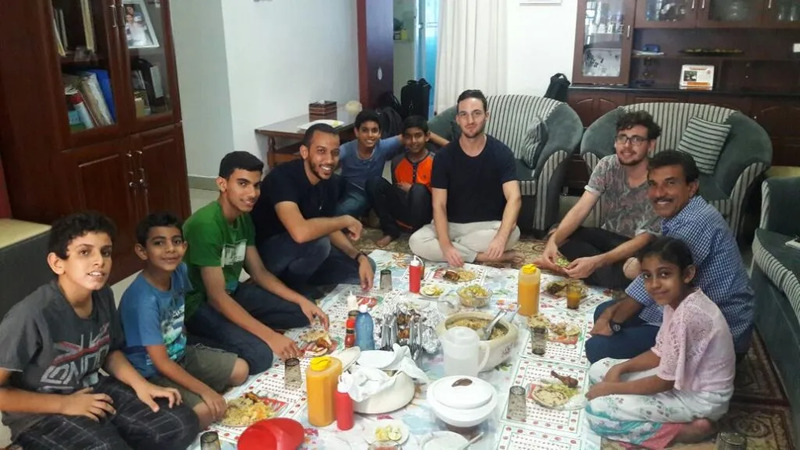 As our friendship grew, Mohamed taught me a little bit about his home. He taught me Swahili words for animals and greetings, and I even struggled to learn numbers in Arabic. He showed me pictures of his family and friends back in Kenya; and the inventory of living, dynamic Kenyans who I knew by name grew. This is important. Inspired by Mohamed’s example, and the interest in East Africa that he sparked in me, I registered for Swahili courses upon enrollment at Indiana University. Soon after that, I joined the Swahili Language Flagship program and agreed to study abroad in Zanzibar, Tanzania for three semesters—a full year. Thus, just like Mohamed I would experience the risks and the responsibilities of studying as an outsider in a community far away from my home. Just like Mohamed did, I unknowingly signed up to be an ambassador and educator to everyone I met there in Tanzania. While I was studying in Zanzibar, Mohamed was able to visit me and my host family. We spoke to each other in Swahili, which was one of the most surreal moments of my life as I communicated with my best friend in a language I did not know the last time I had seen him. Recently, I was also able to make good on a promise and finally visit Mohamed and his family in Mombasa, Kenya. The smiling faces I had seen in photos long ago became tangible people with voices and stories of their own. Despite our different origins, faiths, and colors; they welcomed me like a long-awaited son. Not every study abroad experiences lead to lifelong friendships such as the one Mohamed and I share. However, each experience can contribute to a better mutual understanding between disparate communities. Specifically, when an American from my rural hometown who knew Mohamed sees news of terrorism in Kenya there is a much lower chance that they will react by fearing the whole country of Kenya and condemning it to be ‘dangerous.’ Rather, they may react by reaching out to Mohamed, whom they know, and checking in to see if all his friends and family are safe. They will think of the people rather than the abstract terror. Likewise, when they hear a stereotype about Kenyans they will likely think first of Mohamed and wonder if such a generalization makes sense based on the Kenyan they know. Moreover, consider future politicians and world leaders who have personally known a foreign exchange student. Might they compassionately contemplate the people before they enact harsh policies or resort to military action? I think so. At least, I think it is better than the alternative. In this way, I am convinced that studying abroad leads to a more peaceful world. When citizens of the world know each other on a personal level, they think of each other on that level. They are much less likely to generalize or stereotype because they have a real, living example to consider. They are much less likely to demonize or attack when they know the human being on the other end of that vitriol. They are much less likely to fear when they know a smiling face, and then much less likely to act on that fear. This is important. That is especially important now, as we have seen changes in many parts of the world recently. We have seen democratic nations vote for insularity and cultural isolation over multiculturalism and openness. Also, we have seen fear gain significant ground. Fearful men and women demonize unknown strangers simply because they are unknown. People of some nations distrust refugees because they do not know enough about them. Sometimes it seems like we are doomed to misunderstand and mistreat each other. It may seem like a lost cause. This is precisely why I share the story of Mohamed and I’s friendship. Rather than turning away from the world’s misunderstandings, I encourage all those willing to go as a guest into a community far from their own. Go as a student; as someone explicitly present to learn. You do not even have to like or agree with what your host community has to teach you. But, your presence alone is what matters. As your understanding of one community grows, so does that community’s understanding of your own. When two citizens of the world—for all their differences—are acquainted, their mutual understanding can grow into world-changing influence. Mohamed knows this. I know this. And, I want you to know it, too.